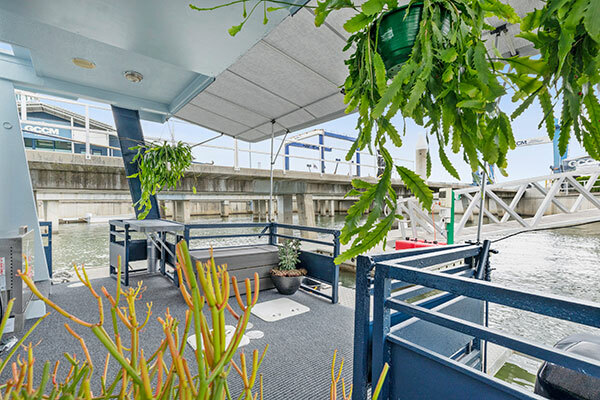 What a quirky home presented to viewers of Selling Houses Australia last week with the first ever houseboat! 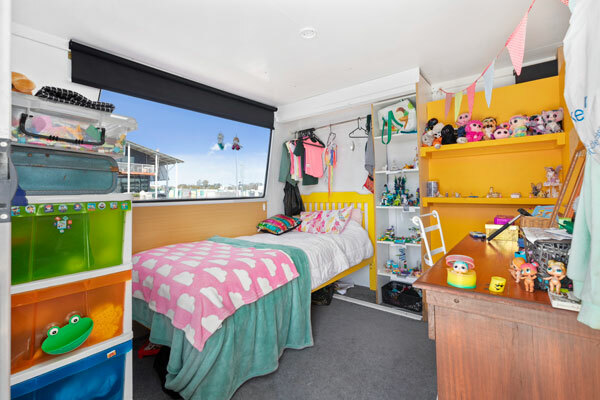 Owner Indiana and her two young children moved on board their home after her divorce as it provided a cost-effective housing solution. They love living on the water, despite some unique challenges. A Dinghy ride to shore for school every day, regardless of the weather. While they love it, their current home isn’t big enough, particularly as the children get older and require more privacy. So what is stopping this wonderful home from selling? It was listed at $80,000 although there has been no real interest. A little research shows that for this price, potential buyers will be expecting to walk on board with minimal or no updates required. Looks like Shaynna, in particular, has her work cut out for her! Charlie was treated to a slow week, having only a few small projects to keep him occupied on the boat. Some fresh paint, fake turf and a new BBQ area are all it takes to freshen up the outdoor areas and utilise the space best. 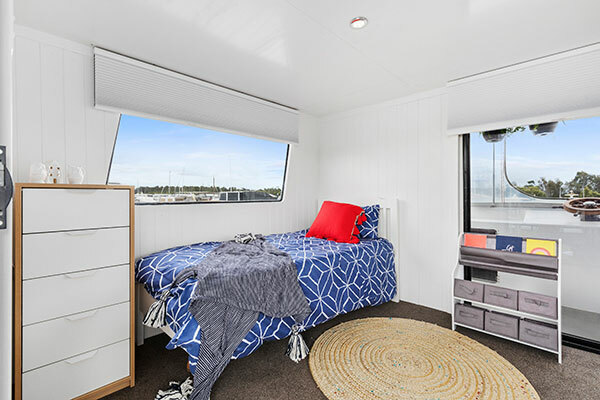 Shaynna is keen to update the whole boat while maintaining a homely feel- but not a clichéd nautical theme. To do this, she ripped out the old kitchen and opened up the space to create more flow and light. Walls are treated to a fabric finish and the master bedroom extended. 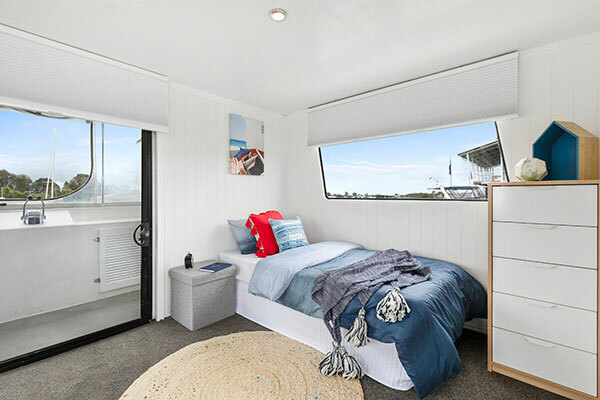 Upstairs, the two bedrooms are merged into one, with a fabric divider for flexibility of space. The bedrooms are also treated to our carpet for a fresh new look, as well as atrium round rugs for a fun and casual vibe. Round rugs are such a great option in a variety of spaces, especially in tight nooks, quirky or awkward corners and entryways. As can be seen in last week’s episode, small bedrooms really benefit from round rugs too as they provide practical floor covering while not taking up too much space visually. 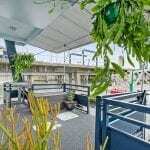 The Atrium design worked a treat with its jute material construction lending itself to the subtle coastal décor. Indiana didn’t have to wait long to start shopping for her new, bigger houseboat. After the complete facelift, their home sold quickly to some lucky new owners. Onwards and upwards for Indiana and her family! 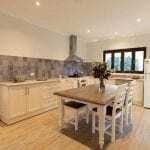 This episode of Selling Houses Australia (Season 12, Episode 5 ) first aired on April 3rd. Stream new episodes of Selling Houses Australia every week or watch Wednesdays 8.30pm AEST only on Foxtel’s Lifestyle.